The second edition of E-Learning in the 21st Century provides a coherent, comprehensive, and empirically-based framework for understanding e-learning in higher education. Garrison draws on his decades of experience and extensive research in the field to explore the technological, pedagogical, and organizational implications of e-learning. Most importantly, he provides practical models that educators can use to realize the full potential of e-learning. This book is unique in that it focuses less on the long list of ever-evolving technologies and more on the search for an understanding of these technologies from an educational perspective. The second edition has been fully revised and updated throughout and includes discussions of social media and mobile learning applications as well as other emerging technologies in today’s classrooms. 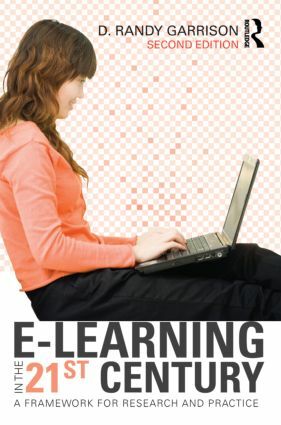 This book is an invaluable resource for courses on e-learning in higher education as well as for researchers, practitioners and senior administrators looking for guidance on how to successfully adopt e-learning in their institutions.